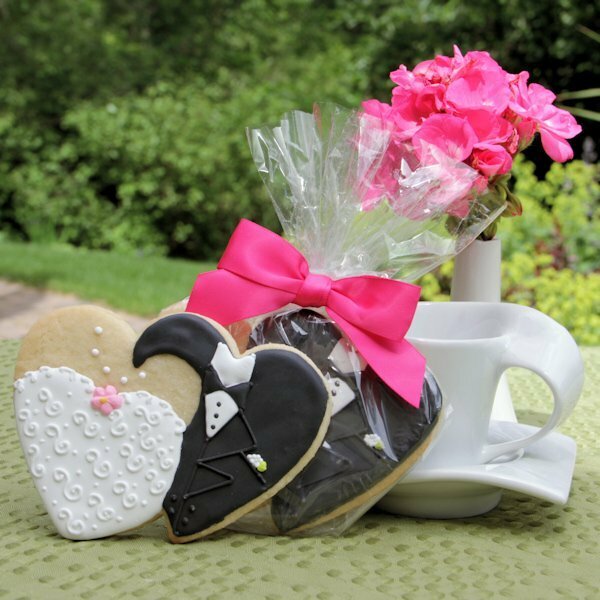 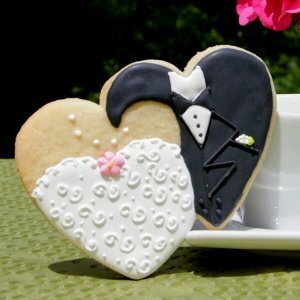 A special treat for your engagement party, bridal shower, groom's dinner or wedding reception, these cleverly designed double heart sugar cookie wedding favors are hand-decorated with a wedding gown and tuxedo to signify the happy couple! 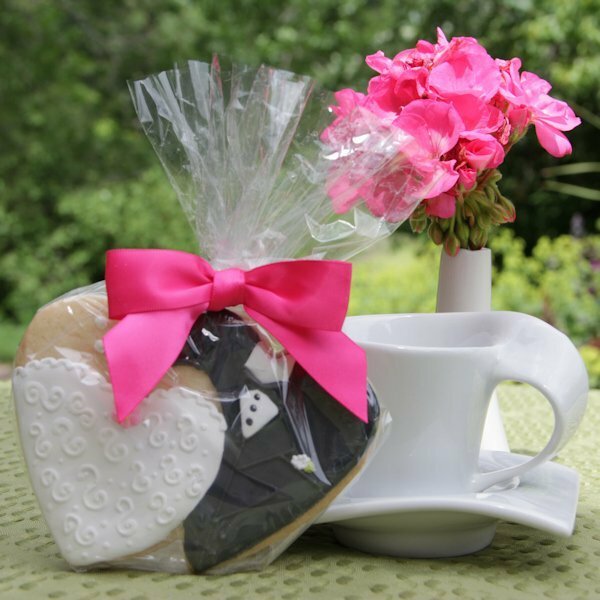 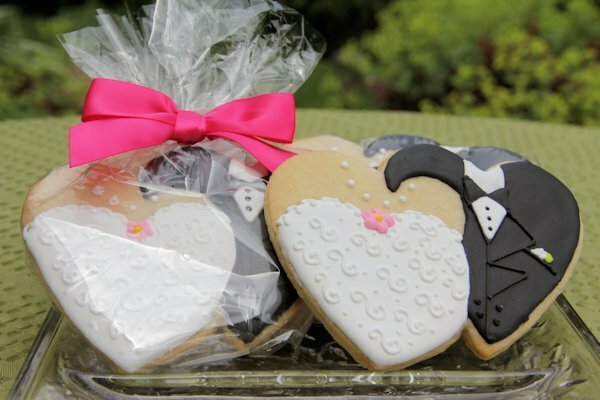 The bride and groom heart cookie favors are each individually packaged in clear cellophane. 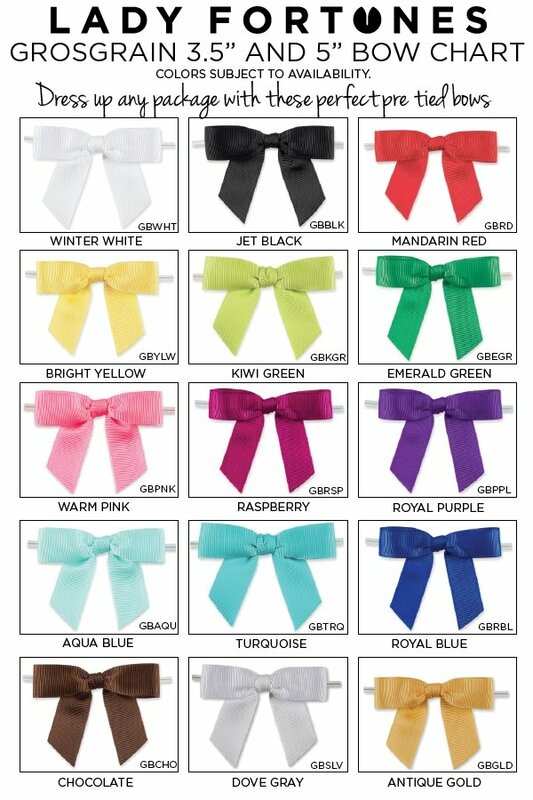 You can optionally add cellophane gift bags that are each tied with your choice of colored 3 inch bow. Choose a color that will be a perfect match to your wedding decor! 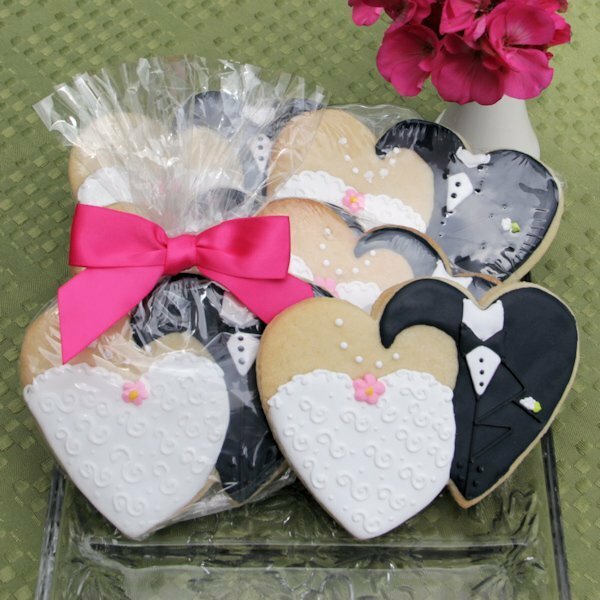 Minimum quantity order is 6 cookie favors, specify optional ribbon color at checkout.